Owning land in Mocksville, NC is a great investment and is perfect for those who want to build a new home or need a place to put their manufactured home. For many people, spending time outdoors is very relaxing and appealing. 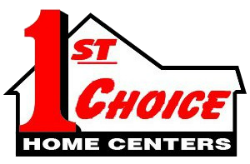 If you are looking for a property where you will have space to create a beautifully landscaped yard, call us at 1st Choice Home Centers. We have land available in Mocksville, North Carolina as well as throughout several other counties. Land is also a good investment opportunity. It is considered a “hands-off” investment because you don’t have to deal with the issues that often come along with investing in other types of real estate, such as tenants who don’t pay their rent, infestation of pests, leaky roofs, and other similar problems. Vacant land doesn’t require much upkeep, so it is an easier option for those who don’t have a lot of time. It also doesn’t require any maintenance costs, such as utility bills. Another reason that people are starting to invest in vacant property is that it is a valuable resource that has limited availability. There are areas of North Carolina that are expanding rapidly to keep up with commercial and residential demands, so if you buy land in these parts of the state, you will most likely see high returns on your investment as people seek to build homes or offices on the land you own. Owning land is a great investment and is perfect for those who want to build a new home or need a place to put their manufactured home. When you have a piece of land in an area you like, it becomes much easier to envision yourself living in your dream home.